Care Packages for Soldiers: Candy Donations from the Peters Colony Chapter of the Daughters of the American Revolution. 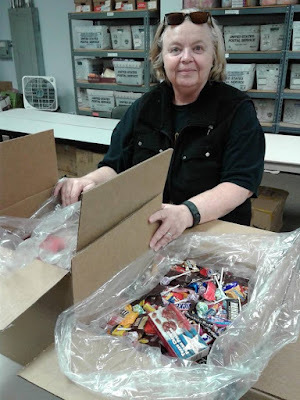 Candy Donations from the Peters Colony Chapter of the Daughters of the American Revolution. Debbie Harding and the Peters Colony Chapter of the Daughters of the American Revolution donated seven boxes of candy, weighing over 200 lbs, to the troops.The candy is sure to bring a smile to the faces of the soldiers when they open the care packages. 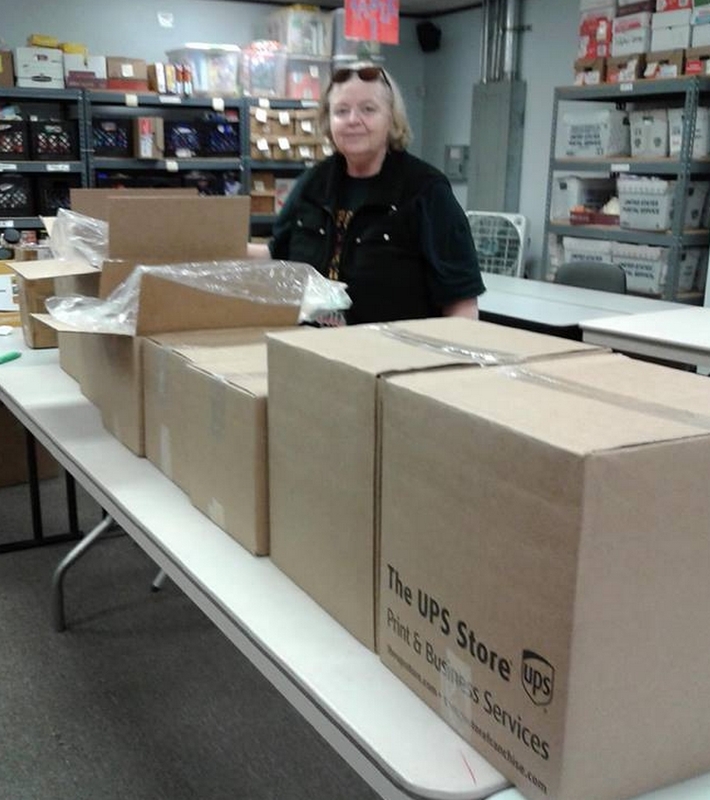 The donated candy filled seven boxes!